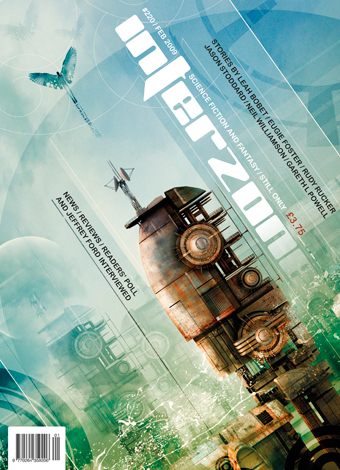 Interzone has announced the contents of issue 220. It looks like a great line-up of authors, and I'm pleased to see a story by Eugie Foster in the issue. I should also note the amazing cover by Adam Tredowski. Wow! There's already talk on the Interzone forum about publishing the cover as a poster. I look forward to the anthology. Peter S. Beagle''s "The Tale of Junko and Sayiri" from IGMS is one of my favorite 2008 stories.